What an exhilarating hoops game. This dude named Matt Carlino went crazy for Marquette and almost singlehandedly won the game for them against a considerably better Georgetown team. He started the game out with four straight three pointers then hit a shot with one second left to tie it up. Then he gets a steal at the 0.9 second mark and almost wins it for them. In the end Georgetown won, but it was a great game. There were 15,300 people at the BMO Harris Bradley Center and it got pretty loud. 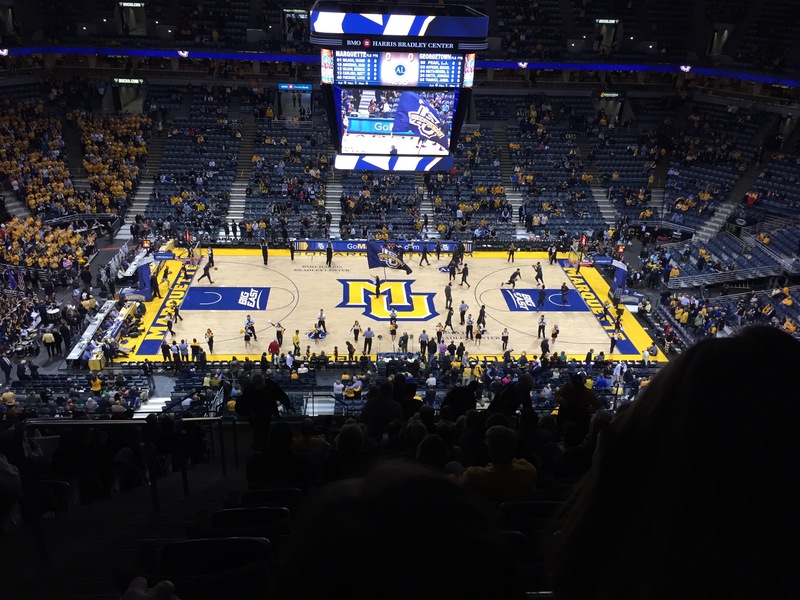 Milwaukee is a great city and the Marquette campus is near everything. The Iron Horse Hotel rocked it, as did the Smoke Shack, Holey Moley Doughnuts, and Anodyne Coffee(and liquor). Great town.